Calling for big bike lovers, especially Ducati's die hard fans!!! Next Bike Sdn. Bhd., the sole importer and distributor of Ducati motorcycles in Malaysia has officially launched five new 2016 models to the local market, namely Ducati Superbike 959 Panigale, Ducati Hypermotard 939, Ducati Monster 1200 R, Ducati Multistrada 1200 Enduro and Ducati XDiavel. 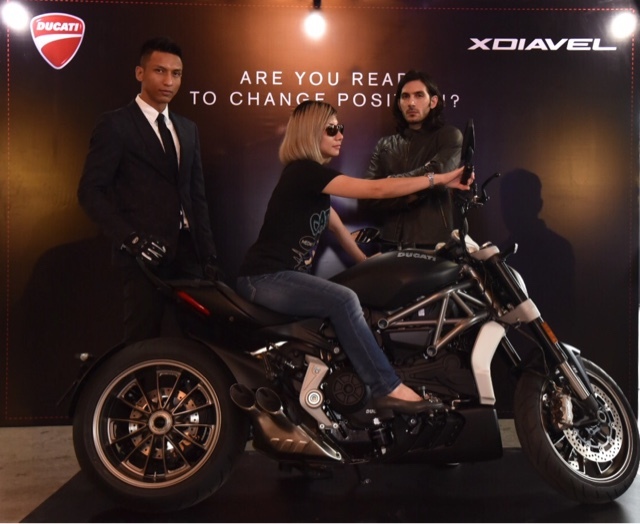 Ducati also celebrated its 90th Anniversary at the recent launch event held at EX8, Subang Jaya. The worldwide celebration kicked-off with the symbolic Sala Rossa of the City Hall of Bologna, Italy, followed by the opening of the newly renovated Ducati Museum, a 'Globetrotter 90' motorcycle world tour on the Multistrada 1200 Enduro (one of the bikes being launched here today), a special-edition of the World Ducati Week (WDW) and a dedicated Ducati 90 line of accessories and apparels. A continuation of my previous post on Resorts World Kijal, we wake up early the next day for this beautiful sunrise. It was truly breathtaking watching the sun emerge from the horizon along the sandy beaches. 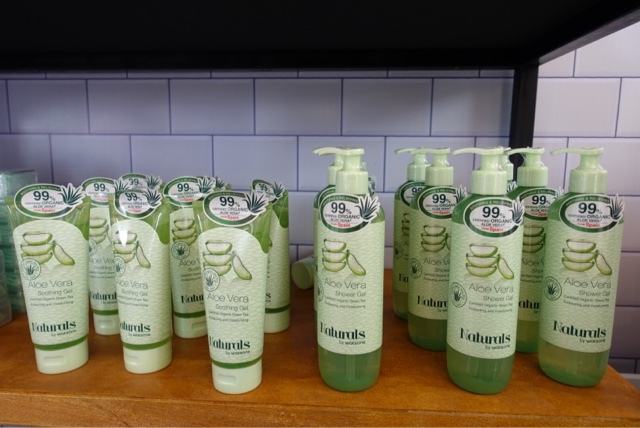 Living in a hot and humid weather, our skins often feel dry and dehydrated. Well, worry no more because Hada Labo's has introduced its latest Hydrating Premium Lotion which is packed with it's signature key ingredient, Hyaluronic Acid. 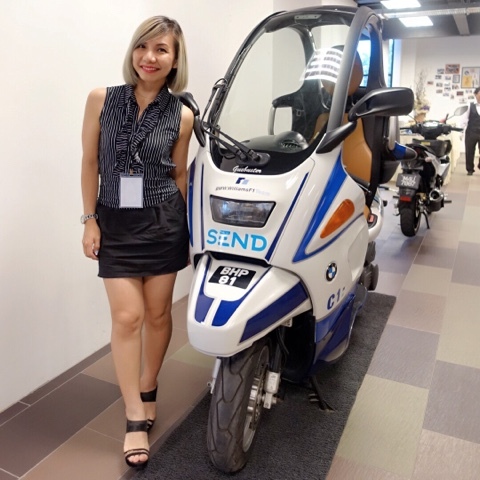 SEND, the latest on-demand delivery platform taking delivery service to a whole new level was officially launched last week. Gracing the official launch was Jorge Lorenzo (3 times MotoGP World Champion) who is also one of the business partners and Global Brand Ambassador of SEND. Over the weekend, we had a superb 'All You Can Eat' dim sum feasting at Ti Chen, The Saujana Hotel. In case you don't know, Ti Chen used to be located at the The Club Saujana has now moved to The Saujana Hotel by the lake. 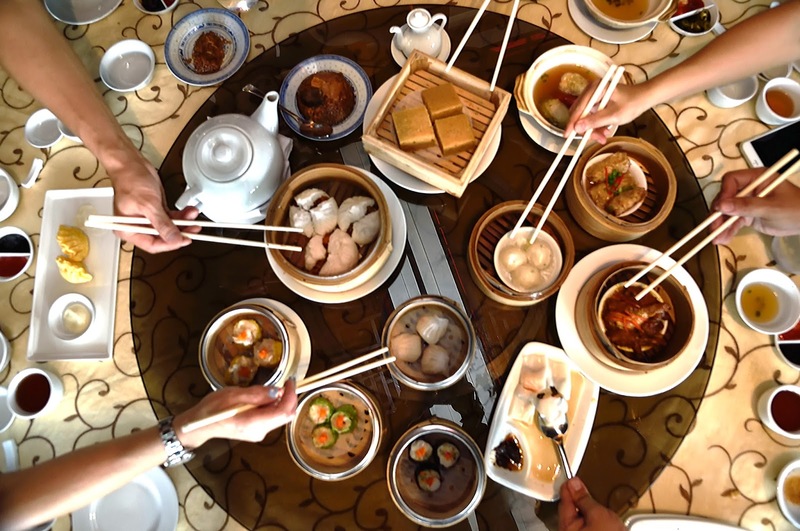 Helming the kitchen is the dynamic duo, Chef Yau and Chef Sam, who whips out an amazing selection of handcrafted steamed and fried dim sum, including signature dishes and desserts. 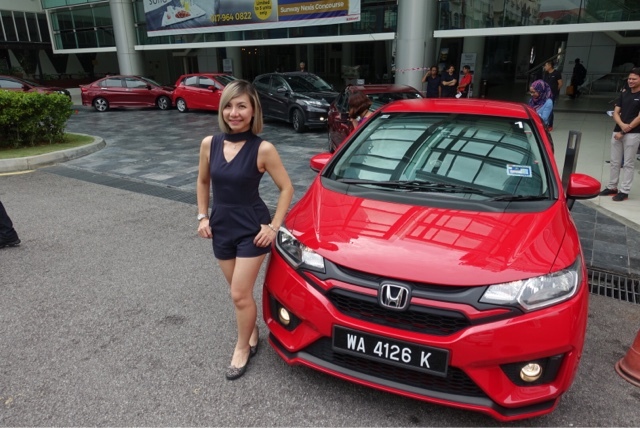 Recently, I was honoured to be invited to join 'The Scavenger Hunt Drive' in Melaka, organized by Honda Malaysia. We were gathered at Rail Canteen for breakfast and a short briefing before being flag off to Melaka. For this hunt drive, we had the opportunity to drive some of Honda Malaysia's popular model which includes B-segment sedan Honda City, B-segment hatch Honda Jazz and the compact SUV HR-V.
A few weeks ago, thanks to the kind invitation of GST Group, I was back at Wellcome Seafood Restaurant for a wonderful meal of Ikejime fresh fish. GST Group has its very own farming facilities strategically located at Pulau Pangkor, built within a non-polluted ocean, supplying a variety of fish such as Red Snapper, Barramundi, Yellow Tail and many more. 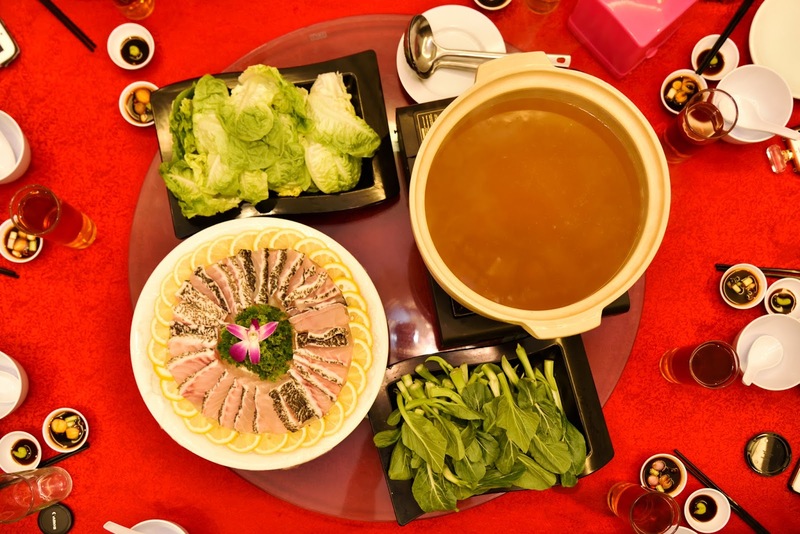 Malaysia International Gastronomy Festival, formerly known as Malaysia International Gourmet Festival returns this October. I was privileged to be invited to the elegant award-winning Samplings on the Fourteenth Restaurant recently for it's MIGF 2016 menu review. 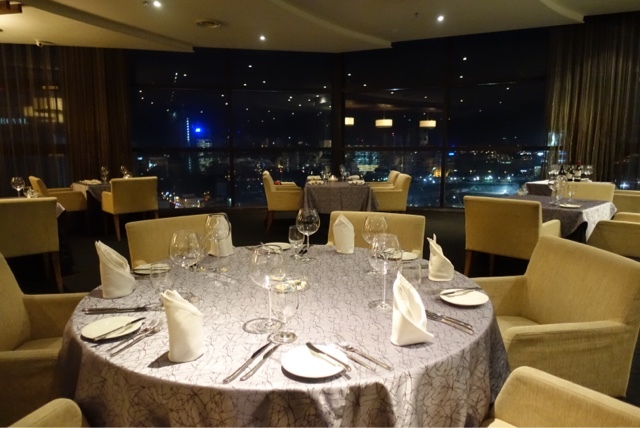 The wonderful restaurant is the perfect venue to share and savour wine dinner with your loved ones overlooking the city's stunning skyline. Last Sunday, I was at ABSTRAX's headquarters with a few of my blogger friends to check out its latest collection #MYperpaduan jersey. If you don't know yet, ABSTRAX is a local brand founded by two young Malaysian artists, Fahmi Fabilah and Dr Faiz I. Anuar. What started as a skateboard brand, later expanded into a Malaysia's popular street wear brand. Thousand turned up at Putrajaya's iconic wetland to celebrate Malaysia Day and adapting to a healthier lifestyle with Guardian's Walkathon 2016. Young and old, many came in special national costumes to mark the occasion while having fun and quality time at the walkathon. 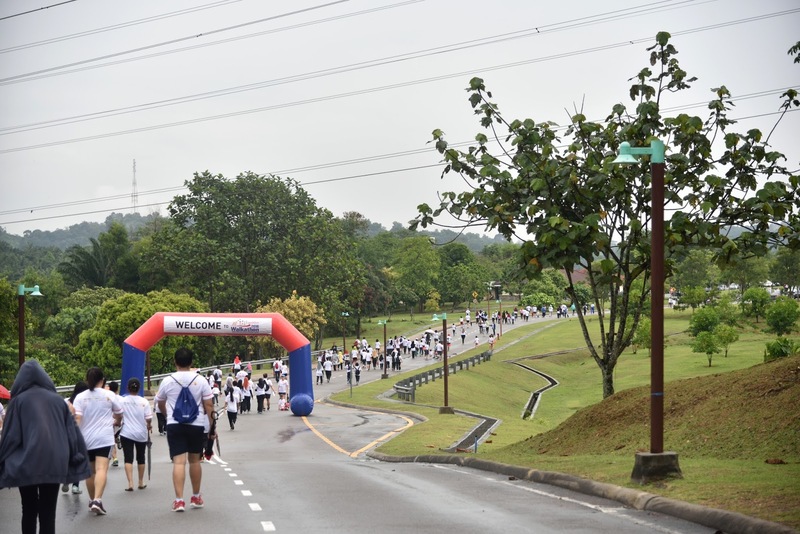 The fun walk has 2 categories which are 3 kilometers fun walk and 5 kilometers fun walk. The participants not only benefited from a morning of healthy activities, they also get to join in many fun games and lucky draw. Heartiest congratulations to all the winners of 'Jom Airfry dan Menang". 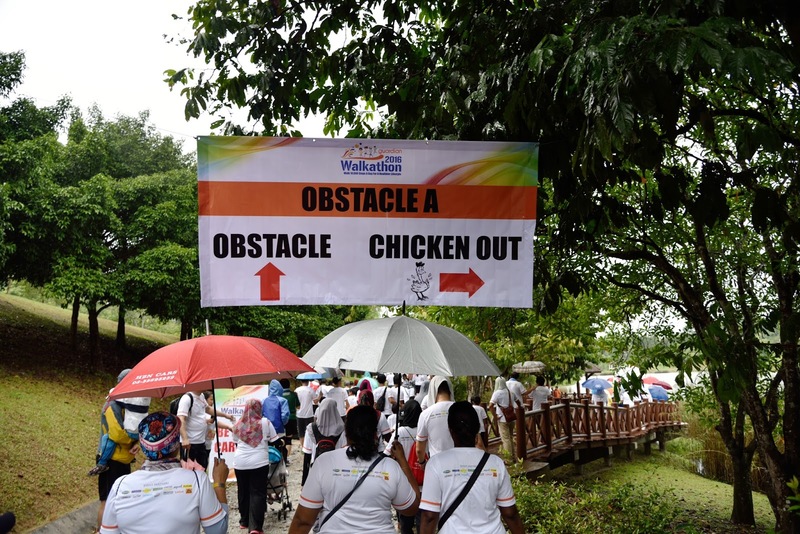 The competition was organised by Institut Jantung Negara (IJN) and Philips Malaysia as part of their continued partnership for the FATCHECK For A Healthy Heart programme. FATCHECK is a community education programme set up to promote a low-fat, heart healthy diet and educate the public on the impact of high fat intake on heart disease risk. 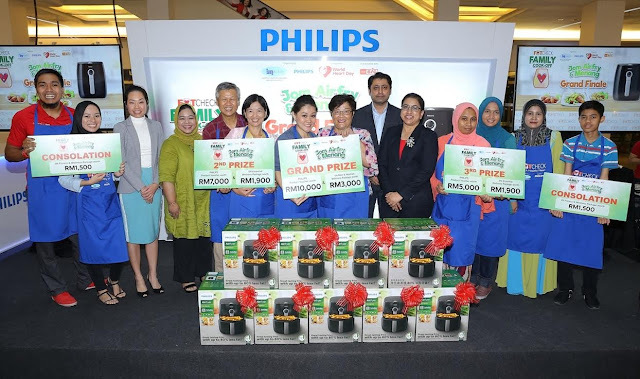 In the grand finale organised in partnership with AEON BiG, the five pairs of airfrying enthusiasts battled it out at Tropicana City Mall to win prizes totalling over RM35,000. Casio Malaysia recently unveiled the new EX-FR200 and EX-ZR5000 during a media launch held at the Armada Petaling Jaya Hotel, which is set to take the global phenomenon of selfie taking to new heights. 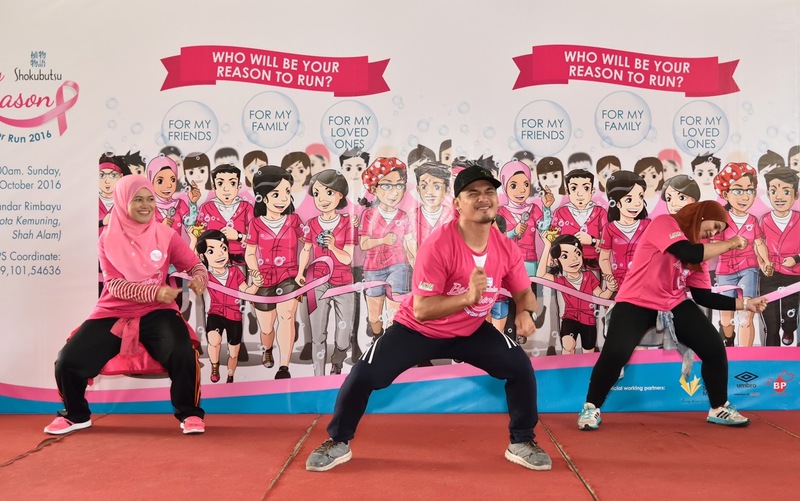 In conjunction with breast cancer awareness month, almost 1,500 participants gathered at Bandar Rimbayu, IJM last Sunday morning for the "Be My Reason Shower Run" fun run to show their support for the breast self-check during shower campaign. 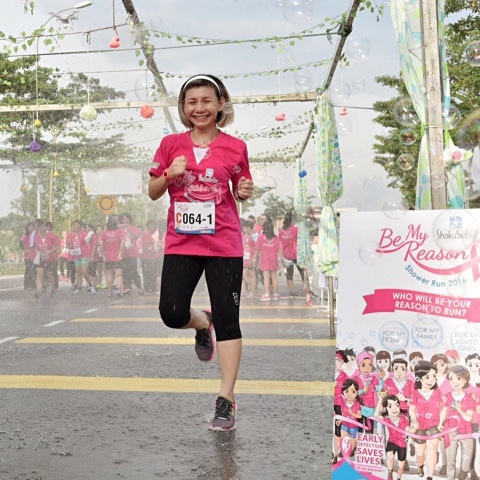 Be My Reason Shower Run was organised by Shokubutsu, the leading shower foam brand in Malaysia, to encourage women and men to raise awareness on the importance of early detection of breast cancer by doing regular breast self-checks during shower. 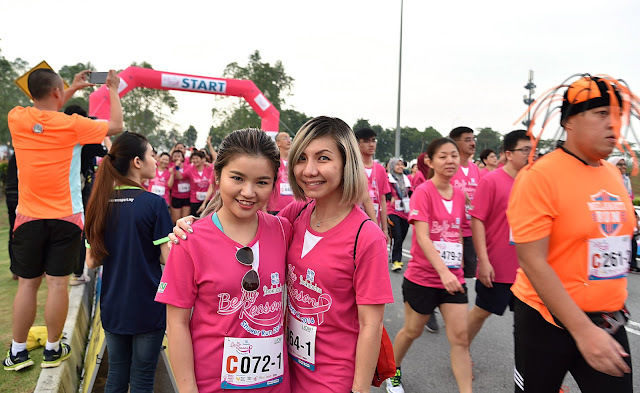 This is the second Pink Ribbon campaign by the brand, an extension of the road shows undertaken last year. Living up to the shower theme, participants are literally foamed with shower bubbles and showered with water at the end of the run, in line with the breast self-check during shower awareness focus. 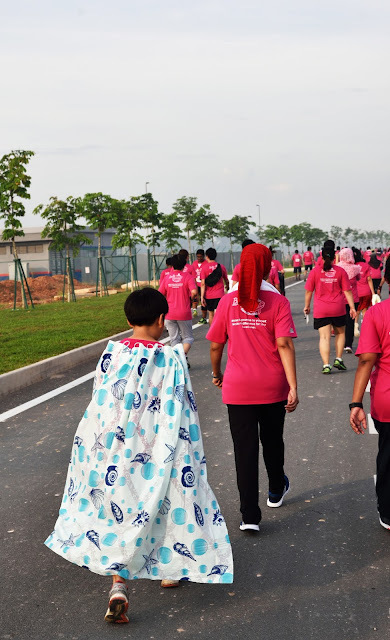 It also added an element of fun to a good morning of exercise for the participants who were required to run with their loved ones, who are their reasons for pledging to do breast self-checks. The campaign is fully supported by the National Cancer Society Malaysia (NCSM), who is partnering Shokubutsu for the second time. 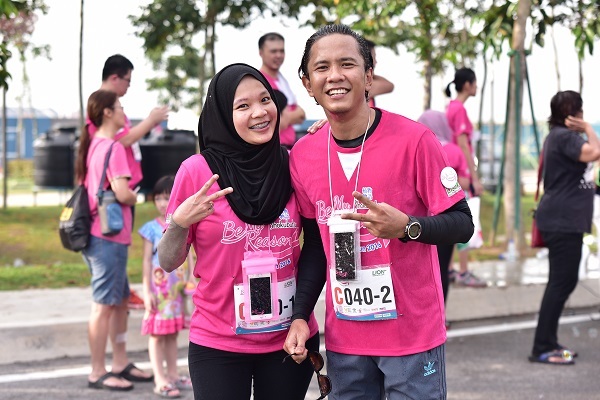 Also present at the event was renowned Malaysian actor, Beto Kusyairy who ran with his wife, Tisha Shahar as an act of support for the campaign. Tisha detected a small lump in her breast not too long ago while doing breast self-check. Fortunately the lump turned out to be benign. It was the support of Beto that helped Tisha through the anxious period of waiting for the results. 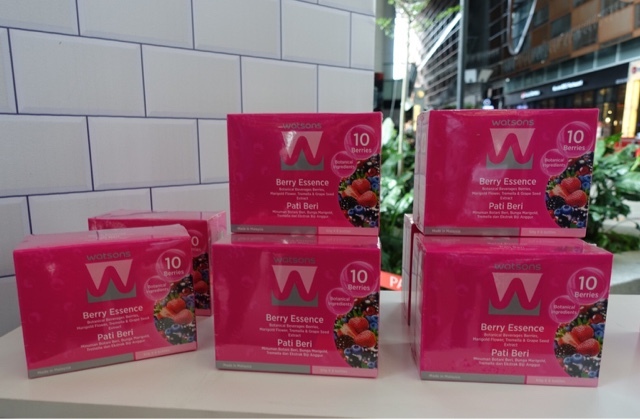 The experience reinforces their belief in breast self-check for early detection. 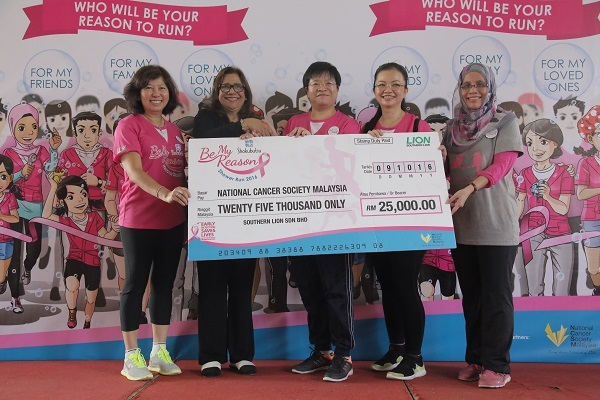 A RM25,000 cheque was presented to NCSM during the run to contribute towards the good works that NCSM is doing in raising awareness and educating on breast self-check. The money was raised from the RM10 fee of the Be My Reason Shower Run and RM0.10 from every unit of Shokubutsu liquid shower products sold at participating stores. 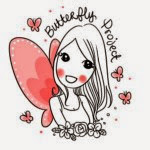 The Shokubutsu Pink Ribbon campaign runs from 1 October 2016 – 30 October 2016. Greetings from the wonderful picturesque Resorts World Kijal. 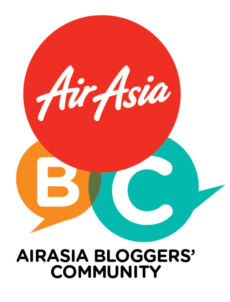 A couple of weeks ago, I was here with a few of my fellow media and blogger friends, thanks to the kind invitation from RWG. Literally, I jumped at the chance for some vitamin sea at the endless virgin beach. 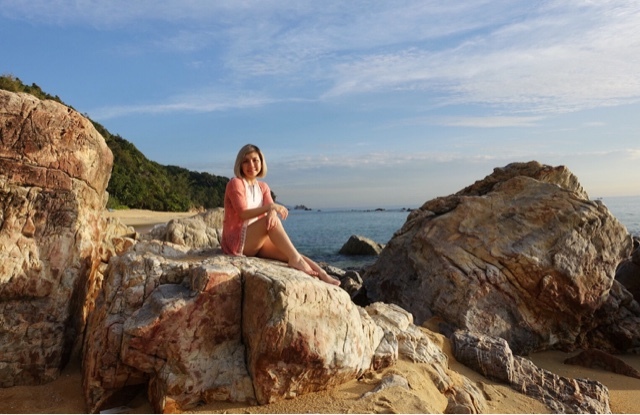 But, the best part is, we are in for a 'turtle watching' experience which is also a 'must see' activity in Terengganu, that's the icing on the cake! 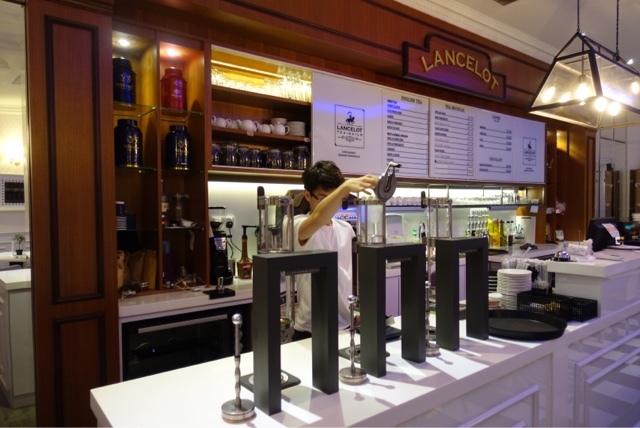 Tucked in the hustle and bustle Bandar Sunway, Lancelot Tea-Guild is one restaurant worth checking out. Upon entering the restaurant, I was instantly impressed by the gorgeous and elegant interior of the restaurant. The menu choices were quite extensive from Western to Asian options. Last Sunday, I attended 'A Woman's Journey Through Health' seminar held at Saujana Hotel, and it totally reflects me on how tough it is, being a woman. When you are young, healthy and energetic, all you want to do is enjoy your life to the fullest. By the time you get married, it would be wonderful if you are able to enjoy your intimate relationship with your spouse without worrying about unintended pregnancy. Did you know 50% of pregnancies worldwide are unplanned with more than half is the Asian. Sadly, half of them ended in abortion. Due to poor contraceptive knowledge, at the time of abortion, at least 60% of women are using a contraceptive method, more common are OCP/condoms which require correct & consistent use. There are also risks or complications of abortion involved. 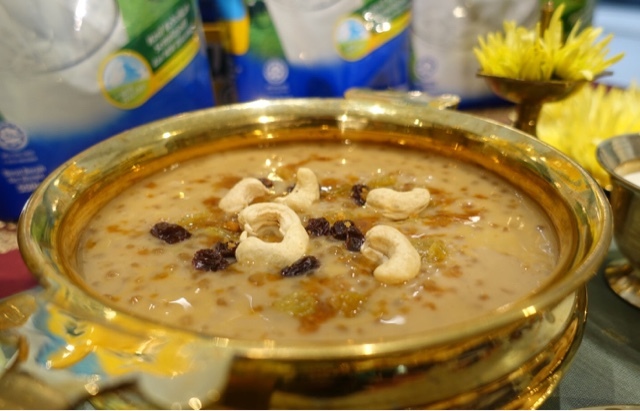 Payasam, a classic must-have dessert for all auspicious Indian occassions. The main ingredient for Payasam is milk, and it is usually thickened with rice or vermicelli, added with ghee for fragrance and sugar. Fun facts! Did you know Payasam is also the Sanskrit word for milk? 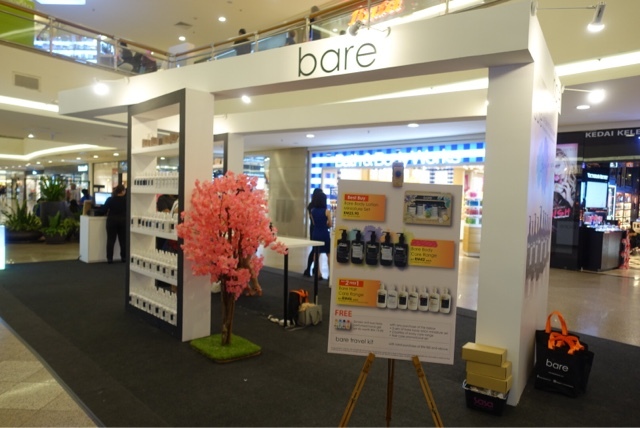 Introducing bare, a brand inspired in Singapore, manufactured in Malaysia, offering a home spa experience in the comfort of your own home. bare Body Care Range, prides itself with its unique formulation that allows us to create our own scent concoctions for our skin needs. Wootz.... I'm so excited to share with you my new toy! 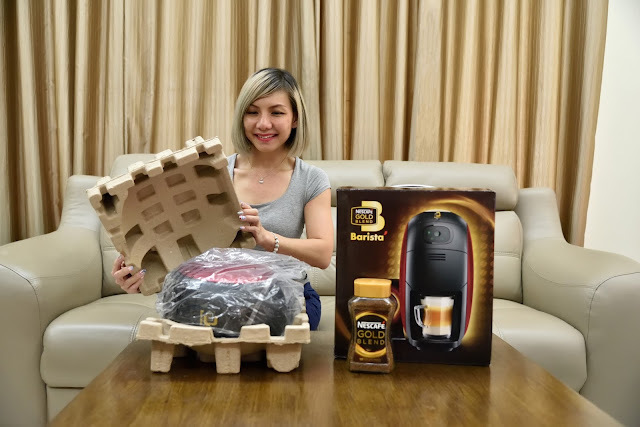 Finally, I got the Nescafe Gold Blend Barista after hearing so many rave reviews about it. If you have been following me on my social media, you'd know, I just returned from my holiday. Oh boy.... I had the time of my life and I do splurge a little, thus, now it's time to save, save, save with less outings, movies and cafe hopping. Being a coffee lover, the latter was rather challenging, hence I've decided to invest in this Nescafe Gold Blend Barista machine. Last month, I am honoured to be invited to the Guardian’s 49th Anniversary & Guardian People’s Choice Award (PCA) 2016 at Nexus, Bangsar South City. 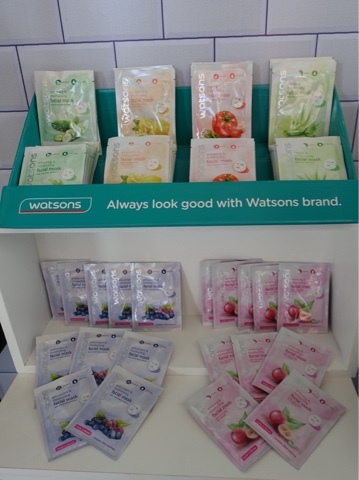 Guardian PCA 2016 brings the crème de la crème of brands under one roof and awards them for their amazing products ranging from personal care and cosmetics to health care and confectionery. 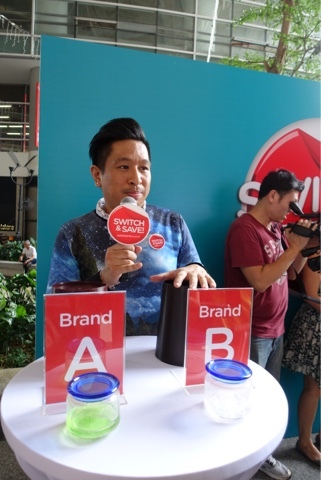 Beside rewarding recognitions to the best brands and products in Malaysia, People’s Choice Awards is also a platform for the consumers to pick their favourites amongst the many brands in the market. The competition will help to improve the integrity of their brands as brand owners constantly keeping up with the evolving needs of customers. A comfortable and good quality mattress is important to a good night's sleep. Last weekend, I was at Courts Sri Damansara Megastore, to check out their bedding fair. I'm sure we are all aware that we spend one-third of our lives asleep, thus it is worth to invest in a good quality bedding for our health and well-being. I do have fond memories for Shell. Back in those days when I was a kid, I still remembered my dad would drive his mighty Datsun 120Y to Shell for refuel. The iconic seashell logo always reminds me of the beach. Hence, till today, Shell is my favourite petrol station. I am constantly being 'on the go' with back to back meetings and appointments, not to mention, the traffic madness, sometimes it can be rather stressful. When time permits, I love taking a short break at Shell's Deli2go, grabbing a quick caffeine fix. Meanwhile, I can also recharge my gadgets and updates my social media accounts while I'm there, with the complimentary wifi. Congratulations to Triumph on the opening of its first flagship boutique at 1 Utama Shopping Centre. In celebration of the grand opening, Triumph rewards the first 130 shoppers with goodies bag worth RM600 with any purchase. 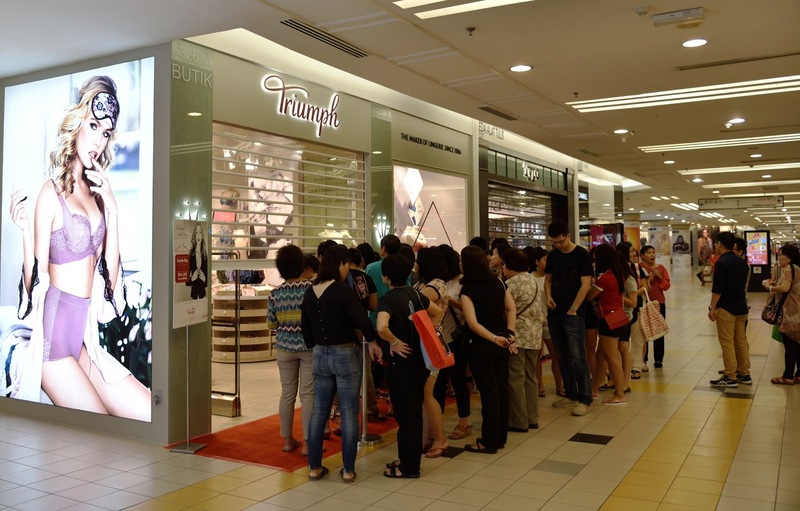 Last Sunday, fans of Triumph's lingerie started queuing as early as 7am. That's not all, in conjunction with the Triumph 130 Years Anniversary, shoppers who purchase RM260 are also entitled to 2 Free x RM130 vouchers. Wow... That's icing on the cake. A follow up to my previous post on anaemia, if you still remembered, I do have mild anaemia. Many of my friends were surprised by the fact that I have anaemia despite my active and healthy lifestyle. 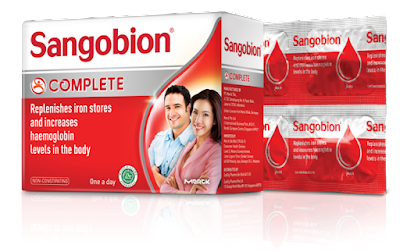 Well, the truth is anaemia occurs when one does not have enough healthy red blood cells to carry oxygen throughout the body. 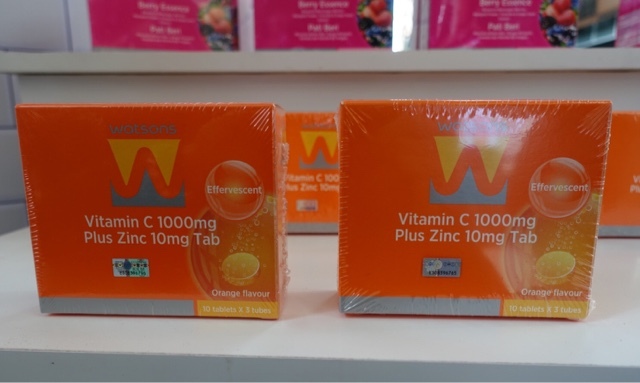 The causes of anaemia includes iron deficiency, abnormal menstrual bleeding, deficiencies of essential vitamins and minerals for the production of red blood cells, chronic illness such as inflammatory gastrointestinal diseases, kidney failure and acute and chronic infections. Did you know women actually face a higher risk of anaemia due to iron loss during menstruation and pregnancy? 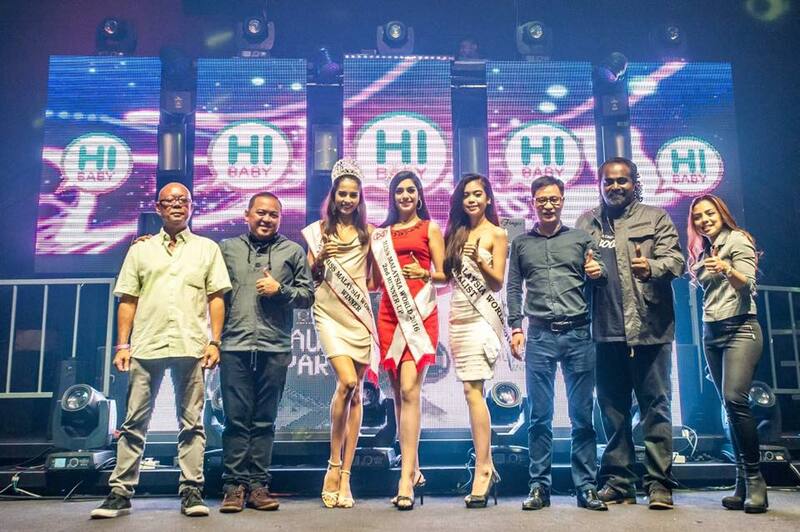 HiBaby.TV, a new online streaming platform was launched recently at FUZE Club, Kuala Lumpur. The launch was emceed by Kay Silva & Nadia Hasnan and attended by hosts from the platform HiBaby.TV viewers, celebrities, beauty queens as well as social media influencers, HiBaby.TV hosts, including Hugo Wong, Sophie, Lyndie, Peggy, Nicole, Stephy, Julianne, Tracy, Evon Lew as well as Riri Chao from Taiwan. 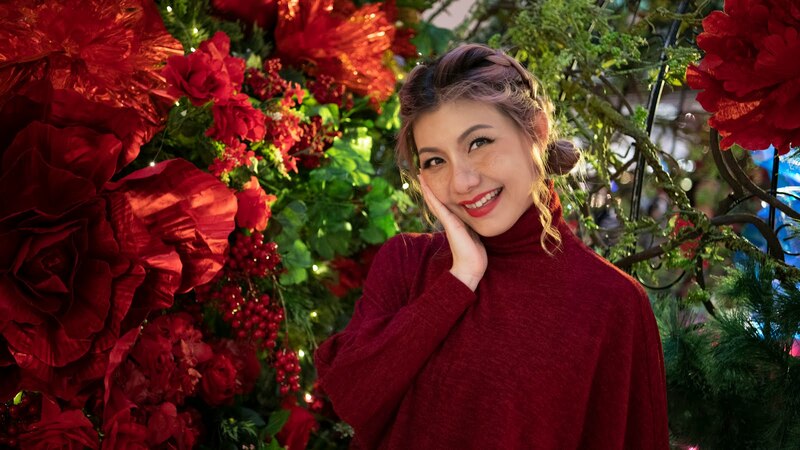 Included in the list were the Established Asian Reggae and Dancehall star, Sasi The Don and the reigning Miss World Malaysia 2016, Tatiana Kumar. Girls..... How often do you experience bad hair day? The good news is, now you could keep those bad hair days at bay with dry shampoo. 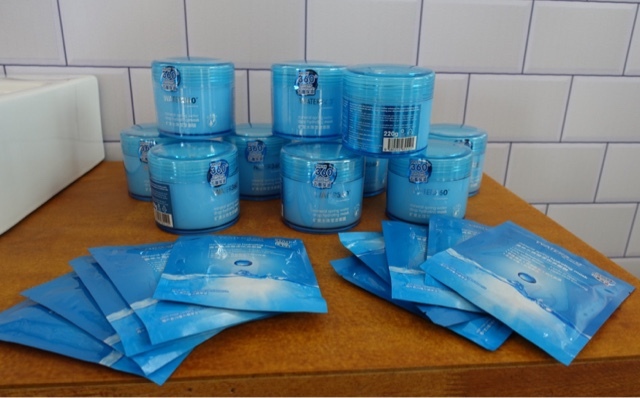 DKSH Malaysia had launched Batiste dry shampoo, a great option for those looking for an instant refresh for their hair between washes and look great all day long with a burst of fragrance.